Maintaining your own oral health is not difficult, time-consuming or expensive. It is actually very easy. Here are 7 tips to follow that will keep your mouth healthy. Brush. Brushing your teeth at least twice a day, ensuring you do it correctly, is one of the most important steps to keep them clean and healthy. Place the bristles at a 45-degree angle alongside the gum line so the toothbrush will touch the tooth surface and gum line. Use back and forth, up and down, and circular strokes. Brush the inside surfaces of both teeth and gums, the surface of the tongue, and roof of the mouth to eliminate bacteria that can result in bad breath. Brush hard enough to remove plaque and debris, but gentle enough to prevent bleeding. If circumstance won’t allow you to brush at least 2x a day, gargle with water after eating to reduce the amount of food in your mouth. Floss. Brushing combined with flossing are essential pieces needed to maintain oral health. Flossing can help eliminate food particles and other harmful elements trapped between teeth that cannot be removed by brushing. The standard, old fashioned rolls of floss work great, and so do floss picks. Floss your teeth at least once a day. If your gums bleed a little when you floss, keep flossing! Your gums will toughen up. Gargle mouthwash. Use a mouthwash that contains chlorine dioxide, hydrogen peroxide or zinc chloride. These oxidizing chemicals are effective at eradicating the anaerobic bacteria and counteracting the unstable sulfur compounds produced by bacteria. Although mouthwash is not necessarily needed, it can help maintain strong teeth and nice-smelling breath. Take calcium and other vitamins. Calcium helps build strong teeth and bones. Drink and eat high calcium beverages and foods, such as milk, fortified orange juice, cheese, yogurt, broccoli, and other dairy products. Maintain the health of your teeth and gums by taking calcium and Vitamin D. Some people may need to take various doses of calcium supplement out of necessity. Other vitamins and minerals that are good for your oral health include Vitamin B (protects teeth and gums from bleeding and cracking), zinc, copper, iron, iodine, and potassium. Limit intake of coffee, sodas, and alcohol. While these beverages contain a huge amount of phosphorous, an important mineral to keep your mouth healthy, large intake of phosphorous can reduce the level of calcium needed by your body. Low levels of calcium can lead to tooth decay and gum disease. Beverages that contain additives such as food dye and corn syrup can discolor your teeth and make them look dull. Opt to drink beverages that are rich in calcium, like milk. Milk will make your teeth stronger and build sturdier enamel for that healthy and beautiful smile. Hydrate your body with water instead of sugary beverages. Stop or avoid smoking. Smoking is detrimental to your teeth. Avoiding or stopping this habit prevents you from getting periodontal complications and oral cancer. It will also protect you from the numerous bad effects brought by the elements found in cigarettes that cover its smell. Drinking coffee or tea and eating candies after smoking to cover your smoky breath further increases the damage caused by smoking. Visit your dentist at least 2x a year. A twice a year visit to a Hilliard dentist ensures you of getting a complete hygiene treatment to help maintain the health of your mouth. 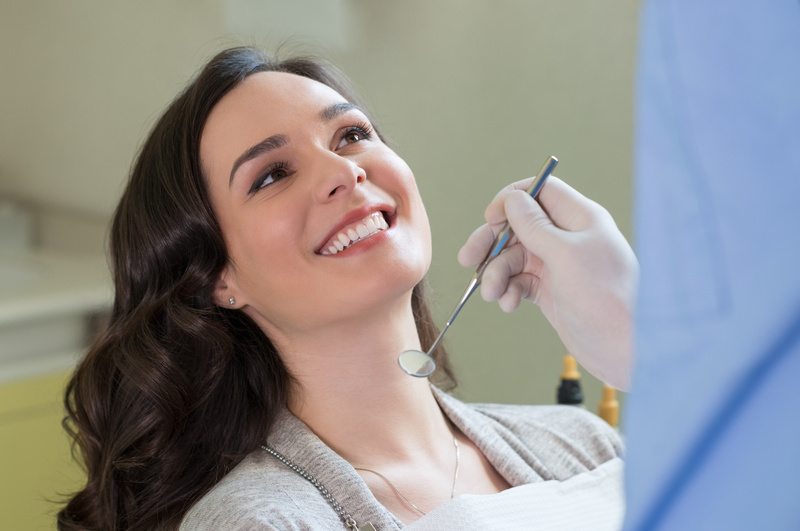 Depending on your needs, your dentist may recommend some procedures to prevent any dental problems in the future. Don’t rely solely on your dentist when it comes to your oral health. It’s time to take charge and take care of them yourself. After all- as an adult, you only get one set of teeth!